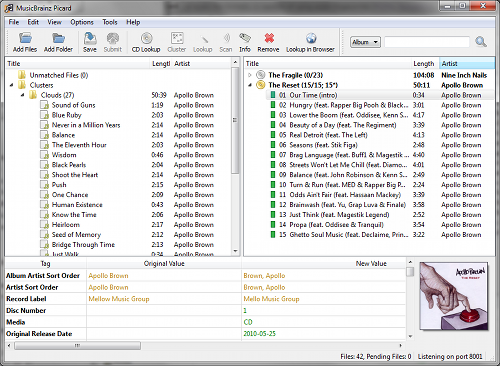 Picard uses AcoustID audio fingerprints, allowing files to be identified by the actual music, even if they have no metadata. Picard can lookup entire music CDs with a click. If you need a particular feature, you can choose from a selection of available plugins or write your own.